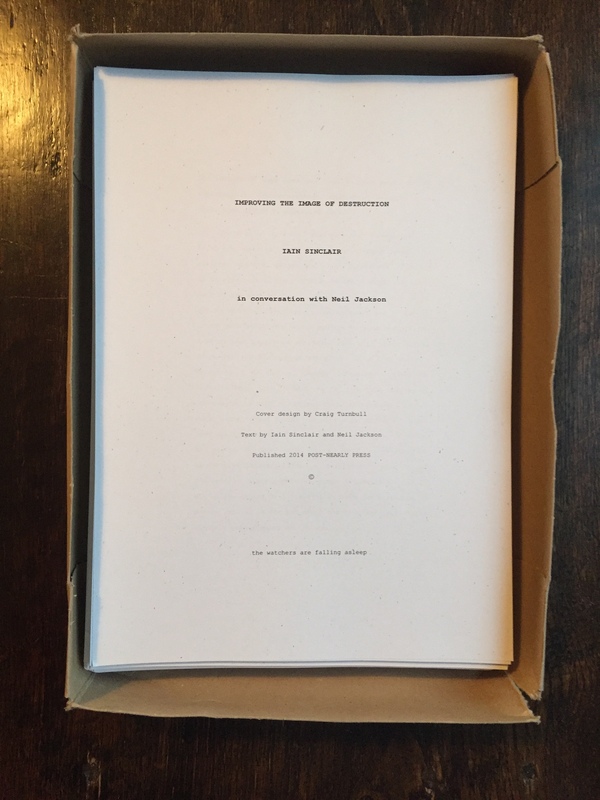 Found in storage – small number of the sold-out 2014 book Improving The Image Of Destruction. No front or back covers but otherwise complete. Please drop us an email if interested. This entry was posted in News and tagged Iain Sinclair, Psychogeography on March 3, 2019 by postnearlypress. WHERE ARE THE THINKERS? is the latest item to be published by Post-Nearly Press. The fifth book in the Post-Nearly Press conversations series is STEWART LEE – Where Are The Thinkers? The item is original, print-only, and limited edition. Stewart Lee gives an engrossing and strikingly open account of his stand-up and writing career, his craft, and his cultural influences — with discussion on Alan Moore, Andrew Kötting, Iain Sinclair, Mark E Smith, Derek Bailey and others. 26 double sided pages of original content; stab-stapled; mixed texture paper; original colour cover; cut short of A4. UK: PayPal GBP 8.75 to postnearlypress@gmail.com (includes postage). Please include the delivery address on your transaction details. Not in UK: please email postnearlypress@gmail.com for postage costs. Alternative payments such as a direct bank transfer or a UK bank cheque can be arranged – please email to enquire. This entry was posted in News and tagged Alan Moore, Andrew Kotting, Books, Hackney, Iain Sinclair, London, Mark E Smith, stand-up, Stewart Lee on May 16, 2018 by postnearlypress. Delighted to say that a new, fifth, issue in the conversations series is beginning production, tentatively scheduled to appear late Feb/early March 2018 – and perfectly, the subject is comedian and writer STEWART LEE, who aside from being arguably the finest stand-up working today, is very much there in the narrative of the series with connecting strands involving Iain Sinclair, Andrew Kötting and Alan Moore – all of whom are discussed. More information will follow, and most likely a short extract in due course. In terms of format, the new publication will be much the same as all the others – see the catalogue page – and distribution will be in the same way too. 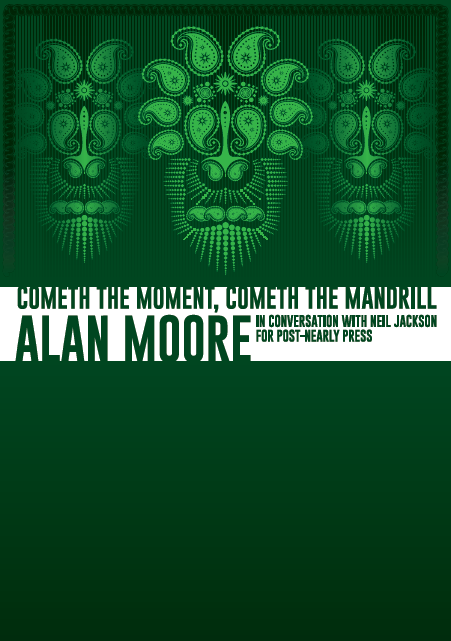 As with the Alan Moore edition, a ‘waiting list’ scenario is on offer (please just send an email to enquire). — Neil. This entry was posted in News and tagged Alan Moore, Andrew Kotting, Chris Petit, Iain Sinclair, Stewart Lee on November 9, 2017 by postnearlypress. Available now! Please order/enquire via email at postnearlypress@gmail.com. This entry was posted in News and tagged Alan Moore, Iain Sinclair, interview on January 19, 2017 by postnearlypress.